Add a little cocktail shade to your next bash! 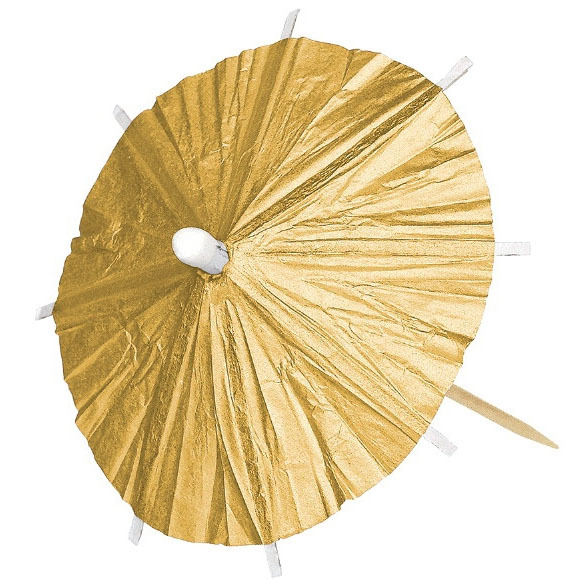 These elegant gold cocktail parasols are sure to be a hit at your cocktail party. Use them to add old fashion charm to your garnish drinks. Kids and adults love them!